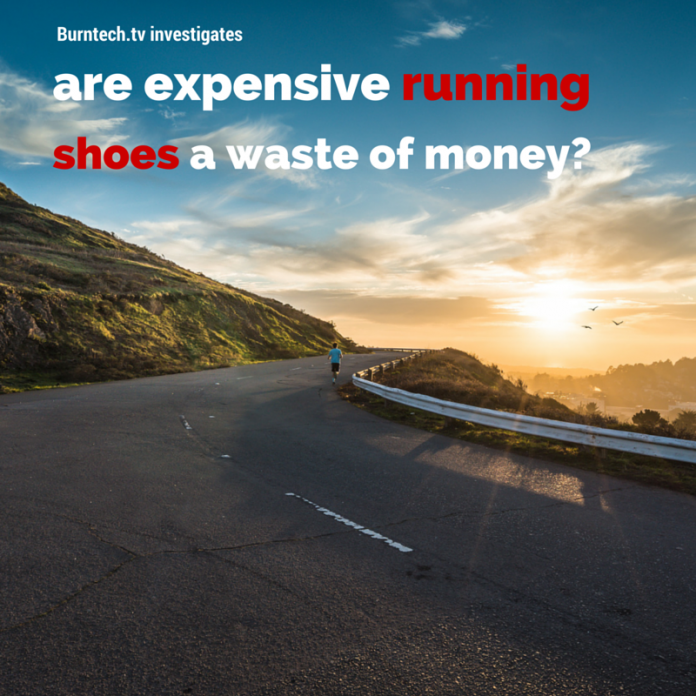 There’s been a big debate amongst runners for years now – focussing on whether expensive running shoes are a waste of money or an absolute boom, providing the additional padding and joint support needed to ward off injury and later-in-life issues. A new study indicates that we may have been throwing money away needlessly on the upper-end models for years. Lets dive in. Running shoes and the choice of are a hugely personal decision. That is precisely why we have trends like barefoot running, lower profile shoes, bigger running shoes and the multitude of options that sit in between. Besides the obvious concerns over how functionally great the running shoes are, there are also the fashion ramifications. The bigger brands represent lifestyle choices and also the image that we want to present of ourselves to the world. When we used the IBM Watson super-computers yesterday to analyse the predicted best selling health and fitness related products during Christmas, Nike running shoes featured. The IBM Watson trend analyser reads the context of the discussions that people are having about products across social media as well as in informed editorial environments, like BurnTech reviews. When they investigated the hot trends in wearables, they discovered Nike Running shoes. When they dived deeper, they realised that people were talking about products like the Nike Free 5.0’s (reviewed and compared to Adidas Boost’s here) not only because they were great running shoes – which they are – but also because they are a fashion statement. The trends analysed showed that people valued the fact that they could just as equally where these expensive running shoes out and about, or even to work in more relaxed offices as well as in the gym. This is indicative of the ‘activewear trend’ that we’re now seeing, whereby people where sports gear like running shoes in order to go about everyday life. In other words, sports clothing is cool again for the first time since the late 90’s. So how does this ‘cool’ factor influence trends around running shoes, noticeably the more expensive variety? Well clearly bigger brands like Adidas and Nike have positioned themselves smartly to capture this activewear trend. This has patently driven extensive sales from consumers who wouldn’t necessarily buy running shoes otherwise. This spikes sales of units that never get used for their intended purpose. Runners on the other hand may value the chic factor, but really they’re investing in shoes for a much more specific purpose – running. So how do such expensive running shoes compare for their actual intended purpose? Well a Danish website called runrepeat.com took a much more objective look at the interjection of cost and quality. They garnered and then ran the numbers on just shy of 150,000 consumer reviews taken from the sorts of places where real runners go. Like running specific forums, e-commerce stores etc. They then also captured the recommended retail price, or RRP, for the products, allowing them to analyse the sentiment of the reviews against the suggested retail price. And guess what? as a broad stroke summary – the more you pay for the running shoes the lower the rating. The ten cheapest models with a batting average price of just £40 scored 8.1% higher than the ten most expensive pairs, which had an average price of £80 more. So in other words, paying 300% more leaves you 8.1% less satisfied. Which is interesting. In fairness, such results need to be tempered against expectations. If I pay £120 for a pair of shies, my expectations around quality, performance, style and everything else which is important to me are much higher. Whereas when I pay less, I may be pleasantly surprised that the shoes are not as bad as i feared they may be at that lower price point. So sadly this test does not analyse hard metrics around actual performance, but instead is biased by consumers own psychological bias. The data is, nevertheless, very interesting. The running shoe market is now worth north of $3B in the United States alone. So seemingly manufacturers are now pouring money into research and subsequently into developing ‘new technology’ which simply isn’t adding enoug value. All of this R&D comes at cost, followed by the marketing to get the value from it, and before you know if you’re effectively paying much more to cover the companies higher costs, without the benefit. So finally, if we look at what RunRepeat recommend, they are supposedly an un-bias source after all, then the results get interesting. Skechers, Saucony and Vibram FiveFingers took the three spots on the podium. Which then came last? Reebok and Adidas were in the bottom three. So there you have it. Perhaps we actually should not be wasting our money on expensive running shoes, and should instead be looking to the middle of the market. The same I guess could be said of plenty of industries and sectors of consumer goods?